Remain in a windowless room between 4:00 – 7:00 pm so that you miss the devastatingly early sunset and can keep up the illusion that it just got dark at 7. Just Say No to leaving the house with wet hair. You’re not 19 anymore. Plus, not washing your hair is on trend right now. Delay wearing the gigantic puffy coat until January, and put it away on St. Patrick’s Day, whether it’s warm or not. That thing becomes an albatross around your neck pretty quickly, so you need to limit its lifespan. But comrades, this year, I have fallen. 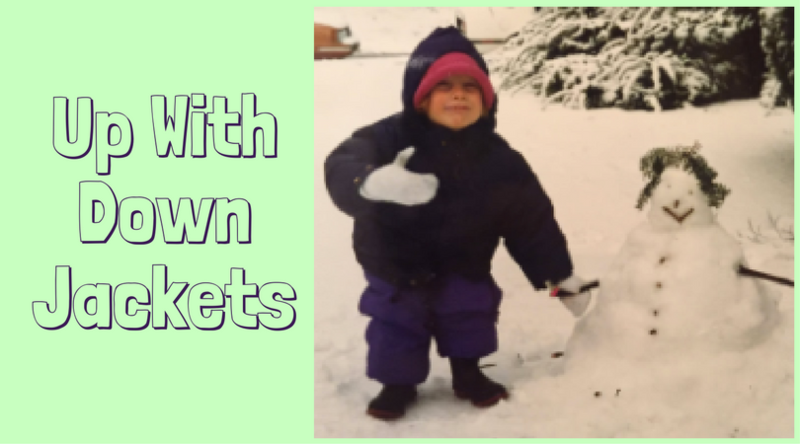 I wrapped myself up in my full-body-length, plush sleeping bag of a winter coat on December 1, and toddled around like a fat bowling pin, cozy in my isolation from any climate elements. (Until I got on the metro and almost passed out from heatstroke). You know what? I don’t care if I have to wear this coat for the next six months – I’m warm, damnit, and life is too short to suffer on your walk to the grocery store. Who invented these genius coats/personal igloos anyway? WOULDN’T YOU LIKE TO KNOW. Praise the Lord and pass the biscuits for the Internet because the answer was just a few clicks away, and more dramatic than I could have ever thought. Bauer began selling outdoor equipment out of a small shop in Seattle at age 20, and made a name for himself by offering his customers a lifetime guarantee. And if it weren’t for one fateful expedition in 1935, he might have continued on this way for the rest of his life, restringing tennis rackets, shooting clay pigeons with his wife, and patenting badminton birdies. Again, I don’t get it. But regardless of why an otherwise rational person might climb up 300 feet out of a freezing river while carrying 100 pounds of fish in the dead of winter, we can all agree that you wouldn’t want to do it in a heavy, soggy wool coat. So Bauer took his off, and kept climbing in his long (wool) underwear. Luckily, Bauer acted fast: he fired off some shots from his rifle to get Red’s attention, and Red came and helped him get to their car (and later, I assume, a hospital). Once Bauer recovered, he got down to business to make sure this wouldn’t happen again. He experimented with goose down feathers, inspired by stories he had heard about Russian Army soldiers, and creative stitching to make a coat that was breathable, light and not bulky. The result was the Skyliner jacket, with a diamond quilting pattern that neatly contained the feathers. Sales began to take off, and Bauer secured the patent. A few years later, in 1942, Bauer provided thousands of sleeping bags and jackets to servicemen in World War II. A second down jacket he had created, the B-9, kept aviators warm for three hours at extreme cold temperatures and kept them afloat in water even with 25 pounds of gear. This became the official jacket of the U.S. Air Force, and cemented the Eddie Bauer brand as an American favorite. The brand recently reprised the original 1936 Skyliner jacket, so that these savvy Millennial men can procure a $6 almond milk latte, tell Alexa to add items to their Instacart, and swipe through Tinder matches all from the safe, cozy comfort of their down jackets. Survival! 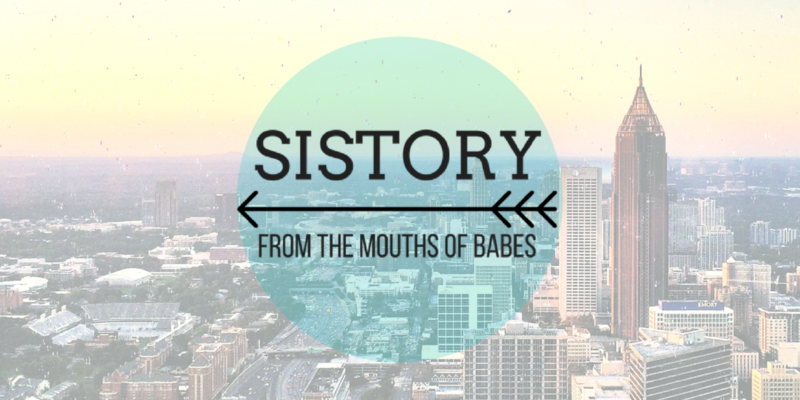 PSA: If you’re not subscribing to weekly Sistory emails, you’re missing out! Every Friday you’ll get a new post PLUS other cool historical/cocktail party chatter, and updates about what we’re doing and making. Subscribe here. View recent email editions here.